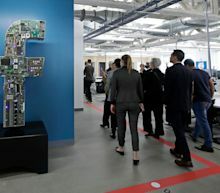 Facebook is scheduled to report its Q1 2019 earnings on Wednesday, and the amount it's spending to improve network security could be a point of contention. Twitter beat consensus expectations in first-quarter results on the top- and bottom-lines and posted a jump in user engagement, sending shares surging in early trading. Facebook (FB) is seeing favorable earnings estimate revision activity and has a positive Zacks Earnings ESP heading into earnings season. Social-networking giant (FB) is scheduled to report fiscal first-quarter financial results Wednesday after the market closes. The report is due with Facebook stock (ticker: FB) up 36% this year through last week, to $178.28 per share, compared with a gain of about 16% for the broader S&P 500. • Facebook reported revenue of $11.97 billion during last year’s first quarter, leading to earnings of $1.69 per share. Reuters has found another 31 widely spoken languages on Facebook that do not have official support. Detailed rules known as "community standards," which bar users from posting offensive material including hate speech and celebrations of violence, were translated in only 41 languages out of the 111 supported as of early March, Reuters found. Facebook's 15,000-strong content moderation workforce speaks about 50 tongues, though the company said it hires professional translators when needed. Facebook Inc on Monday named the legal adviser to the U.S. State Department as its general counsel, as the social media giant faces growing regulatory hurdles and privacy concerns. Jennifer Newstead, who brings government and private sector experience to the role, will succeed Colin Stretch, who decided to quit the company in July 2018, Facebook said in a blog post. Facebook (FB) is reporting its Q1 earnings after market-close on Wednesday, April 24th. They are expected to report an EPS of $1.65 which would represent a 2.3% decline from Q1 2018. FB is estimated to report $15 billion in quarterly revenue on Wednesday which would illustrate 31% YoY growth. The social network reports earnings this week. Snapchat (SNAP) is releasing earnings tomorrow after close and investors are likely in for some substantial volatility. Since their IPO in early 2017 SNAP has on average had a 20% price movement from earnings releases with 75% of those moves being to the downside. Facebook and Amazon, worth $1.4 trillion combined, will report on earnings on Wednesday and Thursday, respectively. The options market is not pricing in how volatile trading could get in the wake of those releases. Volodymyr Zelensky, a comedian with no political experience, was on track to become Ukraine’s president after what appears to have been a landslide victory in Sunday’s election. With 95 per cent of votes counted on Monday morning, the 41-year-old had taken 73 per cent of the vote, with just under 25 per cent for incumbent Petro Poroshenko. Mr Zelensky’s win caps an extraordinary rise to power for an actor who only announced his plans to run for office in a New Year’s eve comedy show.